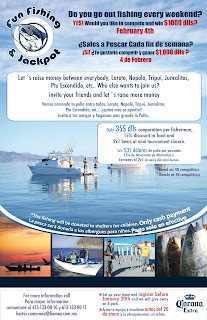 It is with love that our Tournament Committee presents The Great Loreto Yellowtail Tournament. Our event will be held from April 26 – 28, 2012 in Loreto, Baja California Sur. We are planning a fishing competition that will be distinguished from others of its kind. 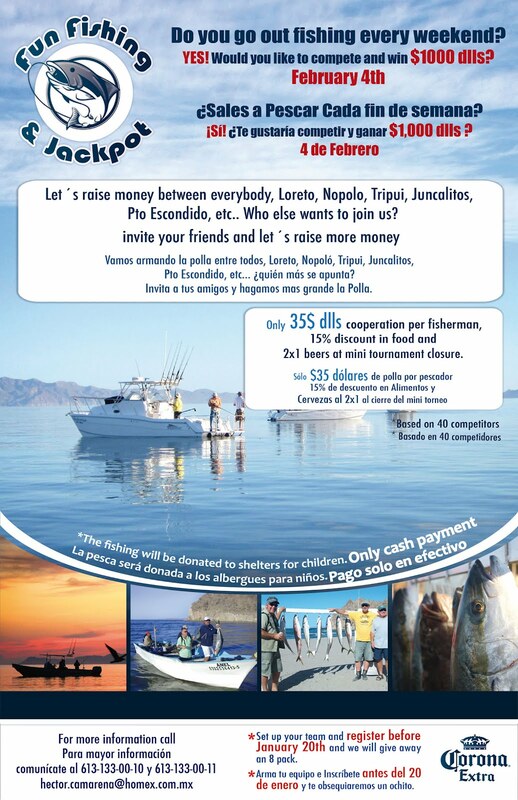 It will highlight the unique fishing opportunities that Loreto has to offer and be open to the community during one of the most beautiful seasons of the year. RVs on Baja: How Big? A very popular question we are commonly asked is "Is my RV to big take on Baja?" The answer is simple, no. The real question is how much experience do you have driving your RV on something other than an Interstate Freeway. Do you have the competent driving skills to negotiate narrow roads and mountain switchbacks? This means driving defensively and respecting the road conditions. The posted speed limit for most of Baja is 80kph or 50 mph. Some of the newer roads including toll highway have higher limits. There are many variables which can affect your speed including road construction, wind, rain, old pavement vs new wider road, traffic congestion and animals on the road. Recycled art collage or assemblage. 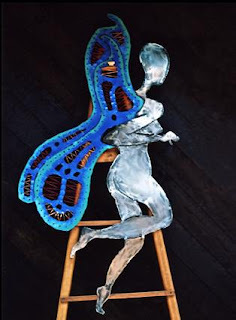 Using materials that would usually be discarded you will create beautiful at least one piece of art that can be hung on the wall or placed on a table or stand. Bring some of your favorite materials – paper bags, plastic bags, metal scraps, wood, discarded jewelry, cardboard. If possible, Bring your glue guns. More info email bajadonna@gmail.com. February 4, 2012 – We are on our way south to Cabo San Lucas with our next group after returning with our January Tour on February 1st. The construction continues on many sections of the Highway and real progress continues. Mexico should be very proud about how much improvement they have made on the Baja Hwy system over the past few years. They have made great progress on 10 km/6 miles of construction since we were last on this on December 18, 2011. Lots of resources have been committed to this project and it shows. Only 5km/3 miles of construction remains and this is very passable by rigs of all sizes, lots of new pavement and the gravel sections are graded and packed. We expect this will be complete when our last tour completes April 3, 2012. This is an amazing project for sure and the resources, both human and equipment, are substantial, our guess would be 1000 workers and 100 pieces of road building equipment. We have heard they are working on this 24/7 and want this completed in time for the G20 Summit in June of this year, hosted by Mexico, to be held in Cabo San Lucas. The difference between our drive at the end of November 2011 and January 21, 2012 was significant indeed. Only the major cuts and bridge construction sections remain in gravel, well graded and packed. The balance of the highway is paved, some with all 4 lanes completed, other sections only 2 lanes. We are confident this will be complete for June and look forward to seeing what they have accomplished when we are there again in 3 weeks. We have seen immense progress on this project since November 5, 2011. The entire section is now paved, although not entirely complete, with the exception of the actual cut though the mountain at KM 44-KM 47 (best guess). You still must detour around this section, partially on the old road and switchback. We are confident that when we leave Baja with our last tour and drive this for the last time this season on April 2, 2012, we will drive on the new section that passes through the mountain. We can hardly wait! This has all been paved for some time now and now almost 100% complete. What is a bit puzzling and surprising is the new section south of Catavina where the new sections have developed potholes. We know little about the paving process, however can safely speculate that something went wrong with his particular project regarding the re-pavement aspects. The good news is we have seen road crews repairing many of these sections and the road surface is once again improving. Those that drive this section often will recall this was once the crappiest section of Hwy 1 for many years. Our first experience on this 8KM/5 Mile section, between the Military Check Point and Jesus Maria, was in early November 2011 and was brutal to say the least. The detour was for “Gringos Only” and the worst Baja gravel road we had been on for years. It was like driving to the San Javier Mission before it was paved! We are pleased to report that everyone is now detoured off the section in construction and the gravel road is in great shape, well graded and flat. We were safely and comfortably driving 30KM/20 Miles per hour on this section. Progress on this section seems quite slow with only a few pieces of equipment a couple of crews ever spotted on the site. What is up with this? Who knows for sure, we will see how things are coming in a week when we return south. The Asociación de Artes would like to announce a change in date of the artist's studio tour from February 5th to February 13th between the hours of 10am and 4pm. 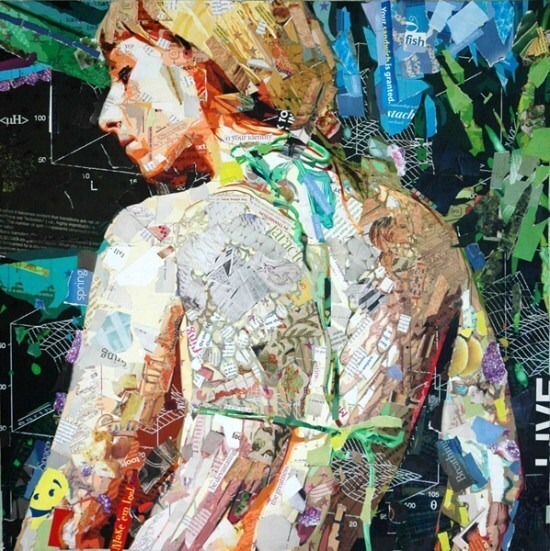 There will be over 15 artists opening their personal studios featuring everything from photography, jewelry, watercolors, textiles, pottery, paintings and more. The studios will be open between 10am till 4pm. Advanced tickets can be purchase starting Friday January 27th, for $60 pesos or $5.00 USD at La Casa next to Baja Beach Company in the Plaza de Pueblo, Los Barriles. A map with studio locations will be given out the day of the event starting at 8am in front of Otra Vez Restaurant. You may also purchase tickets the day if the event in front of Otra Vez for $70 pesos or $6.00 USD. 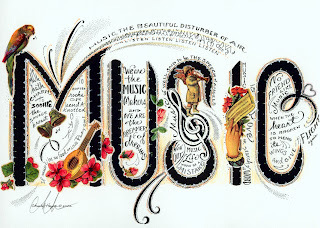 Artists please email Elizabeth Perkins edesignsbaja@aol.com no later than January 31, 2012 or call her at 624-142-8013 or cell 624-125-7120 to register and put your name on the map. This will be a great opportunity to find the perfect Valentine's Day present and support art programs in our local schools. During the competition, anglers will try to catch the biggest calico bass, yellow tail, rockfish, lingcod, sand bass, and red snapper. The entry fee is $25, but choose the package offered by the organizer and everything will be taken care of. Visit http://www.freezerfiesta.com/ for more information or call 949 678 1187 and 702 968 2966. Researchers from Wildcoast, a coastal and marine conservation group based in Imperial Beach, are calling on surfers who traveled to Baja California Sur during the past year to participate in a survey. The purpose of the survey is to give researchers a better understanding of the social and economic impacts that surfing has on small isolated communities south of the border. The research will also be helpful when fighting against new development projects that jeopardize surf breaks and other coastal ecosystems. "This information is crucial for decision makers to realize that surfing is not a fringe activity, and that the preservation of waves and coastal habitats actually has value...," reads Wildcoast's website. Conservationists at Wildcoast say the results from the survey could eventually be used to help create a "Surfing Reserve" in Baja, an area akin to a national park, where the land, ecosystems, and surf breaks would be protected. Wildcoast researcher A.J. Schneller has been looking into the benefits that surfing has on local communities in Baja for the past three years. "[Surfers] are spending a lot of money in these communities and are creating social bonds with these communities. They are not just parachuting in and then bailing," says Schneller, who plans to release his findings in the coming months. 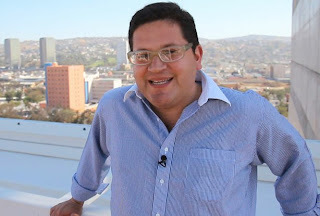 "Crossing South" host Jorge Meraz explores Tijuana, Wednesday, January 25, 2012. "Crossing South" is a travel show which explores Tijuana and Northern Baja. Bilingual travel companion and host, Jorge Meraz, takes the audience on a journey and demystifies the area. Get to know the people, vernacular, foods, customs and places frequented by the locals. To find these travel treasures, Jorge goes further than the tourist traps. There's a lot to learn and fun to have right next door by "Crossing South." In this episode, we take a look at a famous new skyscraper in Tijuana and interview the architect. Host Jorge Meraz then has a ball at the Tijuana Fair riding the rides and eating the foods. Later, we go to a music festival for the young TJ locals. And lastly, Jorge cooks with the chef at La Querencia making "Baja Med" cuisine, drinking rattlesnake tequila, and eating freshly hunted wildlife. "Crossing South" is on Facebook. Otis Holland, a former pastor from Henderson, Nevada who fled after being accused of sexually assaulting teenage girls in his congregation. He was captured Wednesday in Tijuana. - Baja California-SSPE. TIJUANA - Days after being featured on the television show "America's Most Wanted," a fugitive pastor from Henderson, Nev., was captured Wednesday by Mexican authorities in Tijuana. Otis Holland, 55, is accused of sexually assaulting teenage girls in his parish who came to him for counselling. Holland's arrest took place thanks to a tip from a viewer of the program's Jan. 20 episode, authorities said. On Wednesday, the information reached the U.S. 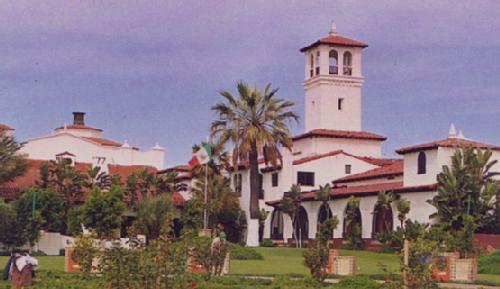 Marshal's Office in San Diego, which in turn contacted members of Baja California's State Preventive Police. They arrested him that same day, and turned him over to U.S. authorities. "It was a fantastic operation on both sides of the border, it couldn't have gone smoother," said Omar Castillo, a member of the U.S. Marshal's Fugitive Task Force. Alfredo Arenas, chief liaison officer for the Baja California state police, said Holland was detained outside a house in Tijuana's Zona Norte, a neighborhood near the U.S. border. Holland had been living there by himself, and had not been there for long, Arenas said: "He had a couple of suitcases, the clothes were still inside." Holland was being held in San Diego's Central Jail on Thursday, pending his removal to Nevada, where he faces a charge of conspiracy, one of child abuse and 11 counts of assault on a minor under 16. According to the report aired on "America's Most Wanted," Holland founded the United Faith Church. He was first charged with sexual abuse in Dec. 10, 2010. He fled in July 2011, after more victims came forward, the report said. The Giving Wheel at the 1st Annual BGL Club Meeting was spun by Lorne Cosman on the 50 / 50 raffle and the wheel landed on Volunteer without Limits. Lorne ask to give all the winnings to Volunteer without Limits totaling over one hundred dollars. BGLC Members building friendships! 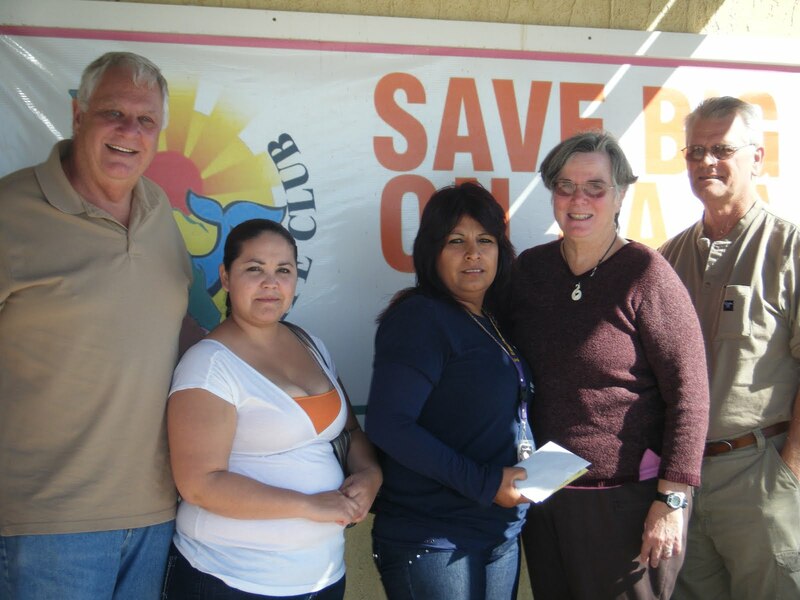 Above in the photo: Lorne Cosman, Patricia Orzco Rea, Candeebria Romo Marquez, Susan Young, & Chuck Bryant. Inn at Loreto Bay Invites you! Do you go out fishing every weekend? Yes!!!! Would you like to compete and Win $1.000 USD**? Who else wants to join US? Only $35 USD cooperation per fisherman. The final registration, captains meeting and kickoff event will take place on Feb 3th (7pm) at Inn at Loreto Bay. Pick up on March 12th at the BGLC Office in the Playa de Oro business center parking lot; then the tour begins with the drive to Ensenada and a stop for breakfast (meals not included). Accommodations are double occupancy. This is a BGLC Club Tour by Go Baja Easy. Click Here for MORE INFO, Call: 686-230-9933 or Email: bajagoodlifeclub@gmail.com. 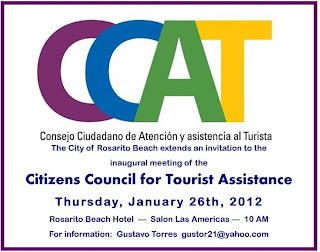 CCAT stands for Citizen Council for the Tourist Attention. 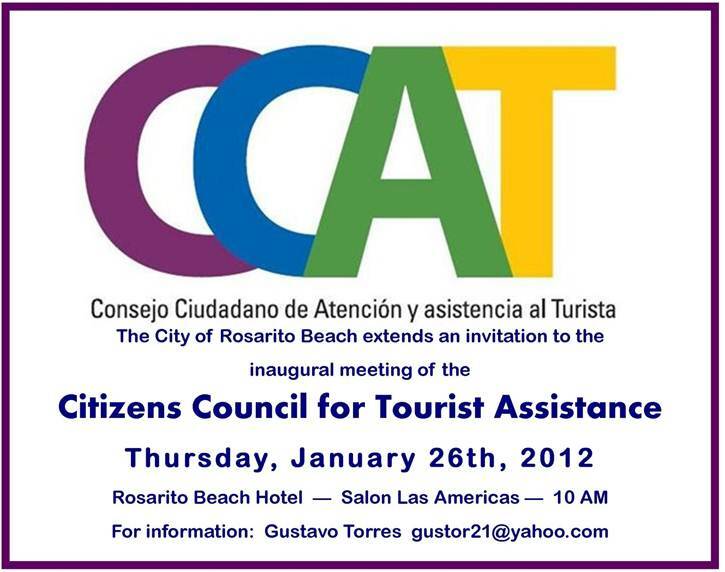 Its main goal is to promote the participation of Rosarito citizens and raising awareness levels regarding tourists, forming a network of people willing to report any mistreatment or misconduct towards our visitors from public servants, police officers, tourism industry establishments or services. Who is part of the council? Members of the community, nonprofit organizations, business people, hotel owners and staff members, foreign residents, students, restaurant owners and employees, and everyone who's aware of the importance of tourism in our city. Traditionally, the Festival de Cine de Todos Santos has been dedicated to celebrating the creativity and innovation of the Latin American film. 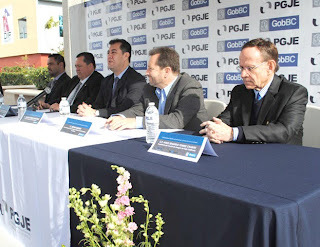 The ninth edition will take place between February 23rd and March 3rd in Todos Santos and La Paz. The event features over 25 movies from several countries in Latin America: Argentina, Cuba, Chile, El Salvador, and of course, Mexico. 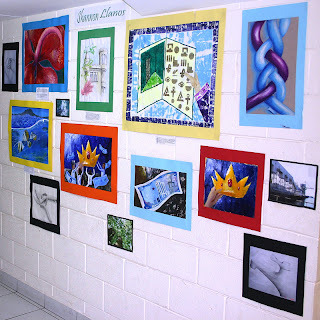 The venue for the event in Todos Santos will be the Teatro Manuel Marquez de León, and in La Paz, participants can choose one of the two locations: the Galería Galería and The Teatro Juarez. The Festival de Cine de Todos Santos will be preceded by an event called CineParque. On February 19th, everybody in Todos Santos will have the opportunity to see the movie Enamorada (Mexico, 1949) in Parque Los Pinos. This classic Golden Era movie is starred by the prestigious actors María Félix and Pedro Armendariz Sr. The festival comes with an auction that will fund the educational program “Youth in Video”. This is a unique program in Todos Santos which allows the children of the community to learn the ropes of filmmaking. In addition, children have the chance of producing a documentary that reflects their outlook on life. Participants to the auction will need to bid a minimum $1,500 to become the owner of a beautiful painting donated by the local artist Jill Logan. The painting called “María Félix, La Doña” is an outstanding representation of this important figure of Mexican cinematography. 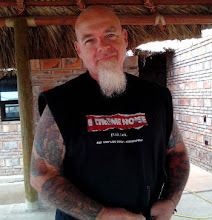 The distinguished guest of the Festival de Cine de Todos Santos is Daniel Gimenez Cacho. Even though he was born in Spain, Daniel spent most of his life in Mexico, and over the years, he has starred in more than 50 productions in Mexico and Europe. His performance has brought him numerous awards, and over the years, he has become one of the most celebrated actors in Mexico. The Festival de Cine de Todos Santos was founded in 2004 by Sylvia Perel with the sole purpose of enriching the cultural life in Todos Santos. Most of the support goes to female and young filmmakers who sometimes find it hard to make their voices heard in this industry. At the same time, the event is focused on condemning stereotypes, violent entertainment and domestic abuse, while encouraging cultural understanding and artistic excellence through film. Please note that the movies are in Spanish, but they are subtitled in English. In Todos Santos, the tickets can be purchased from Hotel California (corner of Benito Juarez e/Morelos and Marquez de Leon) and the Bookstore El Tecolote (Calle Juárez at Calle Hidalgo). In La Paz, purchase the tickets from GotBaja (Madero e/5 de Mayo and Constitucion). This is a unique Off-Road Trip like no other. Feb 3-5, 2012, a 55 Mile Fun Ride, from Rosarito Beach at the Pacific to the beautiful Guadalupe Valley (Baja's Wine Country) and Back to Rosarito, with the best scenic views you can encounter in BAJA, crossing the water creeks, sierras, ranches and farms, otherwise inaccessible to the public. January 24, 2012: In today’s new age of off-road competition that has promoters fighting over an economy-strained group ofracers, the National Off-Road Racing Association (NORRA) is taking a different course in preparations for its upcoming Mexican 1000 Rally – it’s working hard to make the entire event for its customers (race teams), crews and sponsors a world-class experience. Already gaining a reputation for bringing fun and a shared sense of adventure back to Baja off-road racing, the one-of-a-kind, once-a-year rally spotlights vintage off-road vehicles, motorcycles and ATVs, as well as rally cars, a limited number of modern desert race cars and classes for prerunner-type trucks and buggies. This year’s NORRA Mexican 1000is scheduled for April 28- May 2, 2012, with event registration open since New Year’s Day. While the promotional group led by event co-founder Mike Pearlman is finalizing an impressive variety of new event enhancements and corporate partnerships, NORRA has added a fourth day of timed competition that will route competitors from the historic coastal town of La Paz down to a yet-to-be disclosed finishing location beachside in San Jose Los Cabos. Once they arrive, competitors will immediately enjoy a massive poolside finisher’s party and awards ceremony. The extra day will allow rally participants more high-speed off-road driving with unparalleled views of Mexico’s scenic Baja Sur region. Dubbed the “Happiest Race on Earth,” the unique off-road rally was co-created by promoter Mike Pearlman in 2010. The one-of-a-kind, once-a-year, three-day rally includes vintage off-road vehicles and motorcycles, rally cars, a limited number of modern desert race cars and classes for prerunner trucks and buggies. Pearlman’s late father Ed and others established the first running of the NORRA Mexican 1000 off-road rally in November of 1967, which eventually became internationally recognized and evolved into the Baja 1000 in the mid-1970s. Registration is now open to automobiles and motorcycles that meet basic safety standards as outlined the new NORRA rulebook (currently available at the www.mexican1000.website. Although the spotlight will remain squarely on vintage machinery, NORRA has added several new categories for modern and vintage rally cars as well assome for modern desert racing machinery, 4x4s, dune buggies, and ATVs and motorcycles of all types and ages. Each day of the rally consists of special stages (unlimited speed timed stages in the dirt) linked together by controlled speed liaison / transit sections (highway). SAN YSIDRO -- Some lanes will be temporarily closed on the right side of the border crossing at least through summer, federal authorities announced. It’s part of the remodeling and expansion project at the world’s busiest land crossing, tentatively scheduled to end in 2015. Since the beginning the week, the lanes used by SENTRI crossers have been closed and that traffic has been diverted to lanes in the mid-section of the port. Only the far-right lane used by buses remained open. 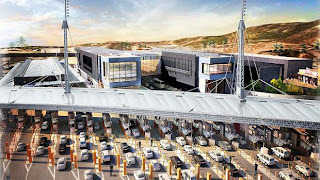 The U.S. Customs and Border Protection announced that users of the newly opened Ready Lane will be sent to left side of the port although motorists may continue to access it through Avenida Padre Kino and the Vía Rápida Oriente in Tijuana. To move traffic faster, authorities have opened two inspection booths in each lane that is open, a practice that’s to continue when the remodeling ends. Vehicle access from the port of entry to San Ysidro Boulevard has been temporarily closed, also to accommodate the construction. And motorists who just crossed into U.S. territory cannot connect to the freeway onramp nearest the trolley stop at the end of San Ysidro Boulevard. Those motorists have to travel at least half a mile on Interstate 805 before being able to connect to that boulevard. According to a spokeswoman for the General Services Administration, which operates the port, several lanes will be closed at a time. When they will close and how long they will remain so depends on the progress of the remodeling project. The pedestrian lanes are not affected by this phase of the remodeling. On Wednesday morning, about 18 lanes were open, out of a total of 24, and the wait to cross was more than an hour in the regular lanes and about 10 minutes in the SENTRI lanes. Playas de Rosarito - Bilateral Cooperation in Broadcasting the Rights of Foreigners in Mexico, is the name of the program that will allow the protection of the rights of foreign residents and tourists in Baja California. The presentation of this program took place in Rosarito, a tourist destination where more than 15 thousand Americans reside. The event had the participation of the state's Justice Prosecutor, Rommel Moreno Manjarrez; Steven Kashkett, United States Consul in Tijuana; Hugo Torres Chabert; president of Image of Baja California Committee; as well as foreign residents. What happens is that most crimes that are committed in this area are damage to property of others, traffic accidents, theft, and most of these take place during the December season. 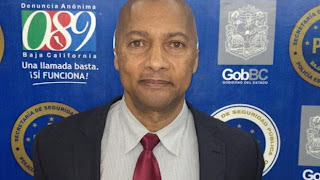 The purpose is for (foreigners) to feel they are in a safe environment, said the State's Prosecutor, he pointed out that posters will be placed with information on the rights of foreign visitors and residents while they remain in the country. There are times when they don't know what to do in a foreign country, the goal is to offer them the right information and assurance that all proceedings are to take place according to the law so they can trust they are being taken care of by professionals. He maintained that some of the rights are: to be heard by the authority, have an attorney, and establish contact with their consulates. There is a large number of Americans and the important role this government has is; first the safekeeping of Mexicans but always with courtesy and good manners as well as abide by international treaties and with that, the rights of foreigners. He added that the border should not be an excuse for impunity, but in accordance with the coordination between authorities it has also allowed them to make arrests of criminals who try to seek refuge in Mexico. "There is a permanent cooperation between authorities and this makes us be proactive on these subjects", concluded the prosecutor. San Felipe is growing up and now has a New Art Center bringing the creative people in our community together. It's time the rest of the world learns what a great artist community we have become. Artist communities attract many people looking for a place to live, visit and purchase. Aware of all these facts, Desert Mothers has opened the center to encourage the people of San Felipe and our visitors to have a place to work on their creative skills as well as learn new ones. This is a wonderful new addition in the ' Dream List' influencing people to consider San Felipe as well as the many other desirable traits of what there is to do and why to choose San Felipe as a retirement or second home. Even as the Malecon is belng developed to add more desirablitiy to our village, the Desert Mothers Art Center is one more major item on the list of desirable reasons to relocate in San Felipe. Kudos to Donna Roberts for focusing on a major attraction bringing the art of Mexico to an understandable concept. Located near Chumpos across from the The Ink Spot and where The San Felipe Book Store had their last location. 183 Mar de Cortez Sur. 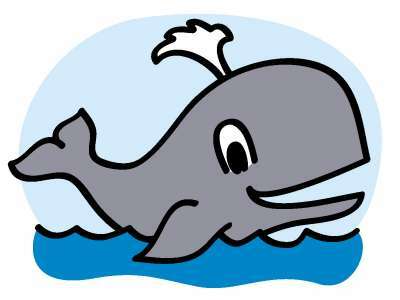 Come in, visit and watch as we grow in stature exibiting some of the finest artisans in Baja. Melody Ashley is teaching 1 and 2 day Metal Art Classes in San Felipe. Cost: 1 Day Beginners Class cost is $65.00 and includes 216 sq inches of metal. Advanced 2 day classes cost $110.00 plus metal. or by email any time at: melodya2004@yahoo.com. This free event is a networking opportunity for international residents of Baja and a great chance to obtain information from a variety of sources. 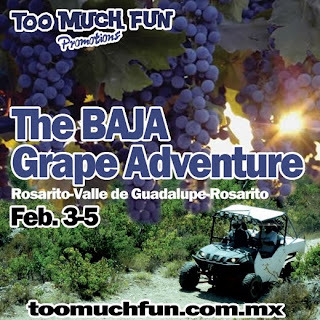 There will be finger foods from various Ensenada area restaurants, wine tastings from Baja wineries and music. NOTE: No one will be selling anything, this is an information sharing and networking event. LOS BARRILES, Mexico - The Asociación de Artes would like to announce a change in date of the artist's studio tour from February 5th to February 13th between the hours of 10am and 4pm. There will be over 15 artists opening their personal studios featuring everything from photography, jewelry, watercolors, textiles, pottery, paintings and more. The studios will be open between 10am till 4pm. Advanced tickets can be purchase starting Friday January 27th, for $60 pesos or $5.00 USD at La Casa next to Baja Beach Company in the Plaza de Pueblo, Los Barriles. The last news that you received from us regarding the status of receiving children at Sonshine Hacienda was that DIF officials had met with us and had given us a list of changes that needed to be made to both our facility and our staff in order to satisfy their licensing requirements. You might ask if we were disappointed, frustrated, and angry? Yes, the entire staff did move through those emotions, BUT the good news is that we moved through those feelings and we have now arrived in a place where we are ready to take on the tasks that have been given to us. We are renewed and refreshed through our faith in our precious Lord and Savior. Nothing is too big for our God!! He can move any mountain put before us. How high do you want that wall?? It can’t be too high for God!! We have an action plan in place and have already completed a large majority of the tasks that were presented to us. So we continue on - determined to finish the course and have children running in our courtyard as soon as God is ready!! We will give you an update in a couple of weeks on our action plan, on “the wall” project and a few other announcements that we pray will bless all of us. December 2nd, 2011 was an evening that all of us at Sonshine Hacienda will remember for many years to come. To me, it was like how Cinderella must have felt going to the beautiful ball. It was truly a night when our beloved Sonshine Hacienda got all “dressed up” in her finery and was able to show off how she had become this beautiful sanctuary! She was a wash of dazzling brilliant blue and silver, with twinkle lights aglow and beautiful tables decorated for the 200 dear friends that came to officially celebrate the opening of Sonshine Hacienda, a refuge for the children in San Felipe. The evening was filled with a variety of different activities, prior to being seated for dinner. As guests arrived for the evening, they were invited to participate in regularly scheduled tours of Sonshine Hacienda, or they could visit the Silent Auction room where they could place their bids on over forty items donated by local businesses, artists, restaurants and private individuals in the San Felipe area. We also invited our guests to visit the “Giving Tree”, a Christmas tree decorated with decorations that were actually suggested items that people could commit to buy from our inventory list of needed items for Sonshine. We had a delicious Italian dinner prepared by Rebecca Mann. Thank you so much to Rebecca for all her dedicated work and long hours. Thank you also to her right-hand man, husband Jim for helping her out!! We are also so thankful for the delicious cake that was made by our favorite “Cake Lady” in San Felipe, Gloria Mater. You out did yourself once again. All of these services were donated out of love to Sonshine Hacienda!! I must say that one of the highlights of the evening was when my date for the evening (the guy I have been hanging around with for 45 years next month) became the Auctioneer for our live auction for the evening. All I can say is that if he hadn’t become a Preacher, I think he could have made a living selling other peoples “stuff”!! We had a lot of fun, laughed a lot and made a lot of money for Sonshine Hacienda. In total we cleared $6,000. Praise the Lord!! A big thanks to Paul and Donna Korneliussen for the beautiful powerpoint pictorial history of Sonshine Hacienda that closed our evening together…you made me cry tears of joy!! I cannot close without thanking Paul & Donna Korneliussen, our Administrators and Erin Howard, our Sonshine Missionary and Alvaro & Diana Sandez, our Caretakers, for their countless hours that they spent planning and working diligently to make this celebration the wonderful night that it turned out to be. 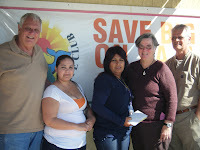 We want to thank all of you who so faithfully support Sonshine Hacienda. Thank you for coming to our celebration and helping us “show off” our beautiful sanctuary in the desert!! 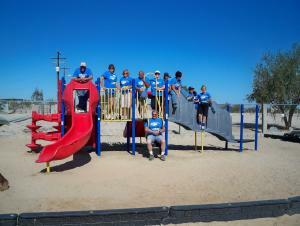 The Lord is using each of you to obtain His purpose….to have this refuge for children open and operating soon. We claim that victory in His name.